I will be moving out from my current rented house to a new SOHO this month. SOHO is just about the same with studio apartment with additional room for an office. So, I consider my new home as a studio apartment anyway. The best thing about studio apartments is the price, the worst thing about them is the size. While there are plenty of condominiums on Property Guru with studio apartments, they roughly follow the same 20 to 24 square meter range that is common in Malaysia. Getting the most out of this small space is a challenge but, with a few new pieces of furniture, definitely with the range of possibility. One of the best ways to maximize space is to utilize multi-usage furnishings so that you can get more use out of them. For instance, you can get a closet bed that can be lowered when you want to sleep and raised when you want the space for other activities. While somewhat pricey, closet beds allow you to have more space within the small bedroom of your studio than you otherwise would not have. For example, when you raise and put away the bed you can use the extra space to entertain guests within your apartment. Some foldable chairs and tables that you can place underneath your sofa would be perfectly fine and this allows you to have more flexibility with what you can do with the space you have. Another interesting purchase that you can go for is to buy a sofa that comes with drawers that are placed at the bottom. While this may seem like an odd design choice, the drawers can be utilized to store a wide variety of different things that would otherwise have taken up too much space within your apartment. There are many sofas with drawers at the bottom of them in the various furniture sales depots in Malaysia due to the growing number of people that live in studios who want to maximize the amount of space they have. The best way to really maximize the space in your apartment is to limit the amount of furniture that takes up space on the floor. One way in which you can achieve this is by having wall mounted shelves and cabinets installed in the apartment. 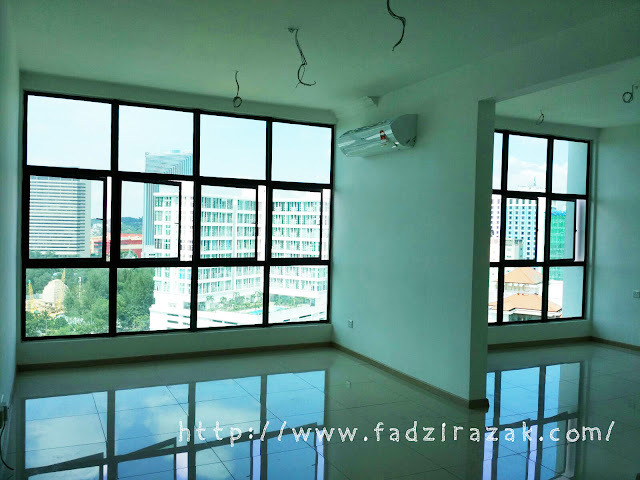 Basically, all you need to do is go online and check out the various contractors that offer this service in Malaysia, look for one that you believe has a design and price range that is acceptable to you and then take out the necessary service request with the admin of the building for the contractor to come in and start drilling holes in your wall. There are several places where mall mounted cabinets are ideal, the first would naturally be the bathroom where you can have two or three wall-mounted cabinets placed so that you can store more of your clothes there. Another location would be directly above your couch where you can store various items like books, decorations, etc. In fact, some contractors even offer to install lights at the bottom of the cabinets to increase the amount of lighting in the room. The last ideal location would, of course, be near your bed where you can place even more clothes and items. People go on business trips for their company all the time and this can last for a few days to a few months depending on what your company needs. During this period of time, your apartment has no occupants, which is such a waste when you think about it. Another way that you can maximize the use of your apartment is to rent it out when you're not using it. There are sites like Airbnb, Ibilik and Flipkey that enable people to rent out their studios on a short term basis. All you would need to do is make a post on any one of these sites, leave the key with a trusted friend who will take care of the apartment, make sure that all your valuable items have been locked away in a cabinet that has a lock and chains on it then rent out the location. You can make a substantial amount of money this way which can go towards the monthly payments for your apartment. Not only that, Airbnb and Flipkey checks their users before they allow them to rent properties and even offers insurance just in case any damage occurs. It is due to this that you can have some peace of mind when renting your place out. 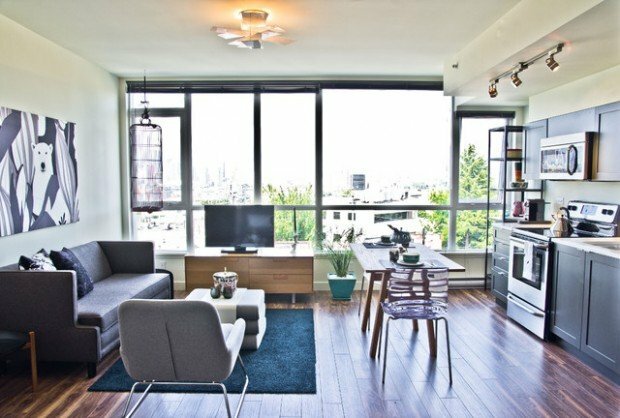 Getting the most out of your apartment isn't that hard. All you need to do is use a bit of ingenuity, some upfront funds and an internet connection and you'll be all set. Don't settle for what people say studio apartments "should be" go for what you want and you're sure to be happy with the results. Can't wait to move into our new house! Yippie! There are a lot of studios nowadays! great guide, space saving is definitely a yes yes! I wish to have a nice home too. A good place for the family bonding time. It's really important to utilise the place wisely when you are staying in SOHO. Most of the furniture nowadays utilise place well. love the soho concept. just nice for single woman like me. Oh yeah! great tips especially the space saving for great living environment. Thanks for the ideas! i've been looking for some inspiration on how to decor my new place too! I've toyed with the idea of buying a SOHO too, since I am single. But then I think of my immediate family, how can I fit them all in? great tips, thanks for sharing this useful tips. Shall let my sis know of this too, she will be interest to read. hope to buy one service apartment. having some creative & space saving furnitures are fun though. Go buy apartment instead. Don't buy service apartment. Fees are high! Wish to have a studio apartment of my own. So that I can decorate to my own style. Very useful tips to maximize the space in the home. I will try a few for sure. A home is where the heart is, doesn't matter the size of the space. woah! Thanks for the sharing of all these great tips! It reminds me of the RE suite. Good points to make more storage space, even when you have a bigger house you still need more space. We can use them at some point of time. We really don't have enough space nowadays. This is so helpful, especially if you're living in the centre of town in a small apartment. its true... wall-mounted shelves does saves space. Mirrors also helps make the place looks bigger. The paints and furnitures colors all plays a part too. I bought 1 big mirror from ikea last couple of week. and it does cost a lotttt! I read your lines its really helping post for finding a great accommodation . choosing a best accommodation is a difficult task for student .thanks for your guide line . I think it might be good idea to put something on your blog and it will good for your blog because your house is perfectly constructed , and this is able to feel relax.